About 4,600 miles of coastline wind from southern Puget Sound to northern British Columbia along what is known as the Salish Sea. It is a land of connections and contradictions. Snowmelt from three national parks feeds more than a thousand creeks and rivers that in turn flow to the rich floodplains and estuaries of places like the Skagit and Nisqually deltas. It is one of the most diverse and spectacular ecosystems in the world, a fact made even more incredible because it is also home to 8 million people. In this sense, the Salish Sea is as much about salmon and orcas as it is about traffic jams and development. Humans have called the Salish Sea home for thousands of years, but over the past century, our presence has taken its toll. Increasingly, we turn to science to help us understand our effect on the ecosystem. Researchers across two nations and dozens of tribes now measure and study the region's health, and hundreds of millions of dollars are spent every year on its protection. In 2014, the Encyclopedia of Puget Sound launched Salish Sea Currents, a magazine-style series that grew out of an urgent need to tell this story. It began as a way to report the latest science coming out of the Salish Sea Ecosystem Conference, a biennial gathering of more than a thousand researchers and managers from the United States and Canada. Every two years, the conference provides the premier showcase for the science driving Salish Sea recovery. Since that time, Salish Sea Currents has grown to cover other stories from around the region, from reports on the potential impacts of disease on the ecosystem to in-depth coverage of dangerous structural problems at Ballard Locks. 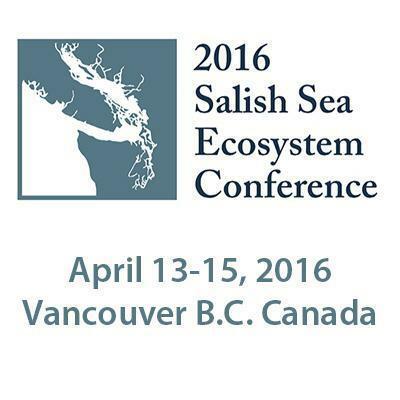 This April, we are excited to continue our series at the 2016 Salish Sea Ecosystem Conference in Vancouver, Canada. With support from the Environmental Protection Agency, we will be sending reporters to look for the latest decision-critical science, and we will bring those stories back to you in these pages. Look for that series and more on the conference as we gear up for Vancouver. Update: Follow our posts on Twitter at #SSEC16 and #EoPS. Jeff Rice is the Managing Editor of the Encyclopedia of Puget Sound.